Pictorial writing prompts and flash fiction contest information! I came across this photo in a newspaper article. 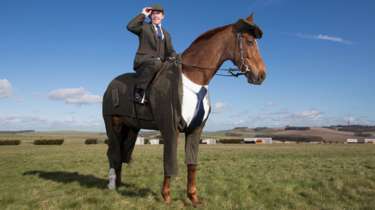 I don't usually go nuts for animals dressed in human clothes, but a horse in a full suit? That's wonderful. Today's writing prompt is to dress someone (or some animal. Or some object?) as something they're not. The doctor is a receptionist. The statue in the lobby is a microphone. That weather balloon over Area 51? Well who knows WHAT that might be? 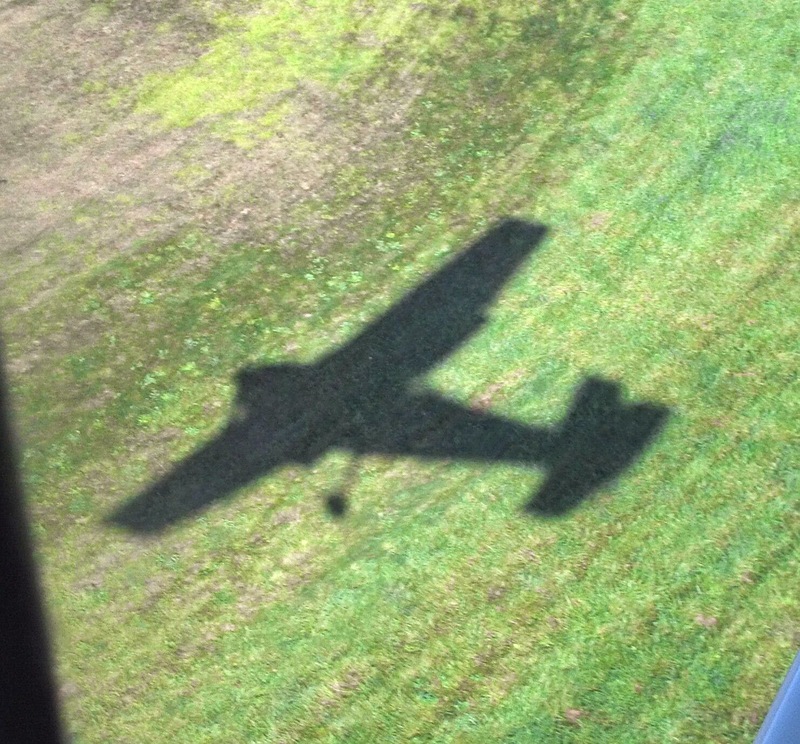 This plane weighs well over a thousand pounds, but as it passes fields and outbuildings, all it leaves behind is its shadow. In this writing prompt, pick a character that's larger-than-life and force them to act in the most subtle way possible. Does s/he enjoy the change of pace? Do they learn anything? How long can they tolerate it before they explode? Aahh! It's a bin of monsters! 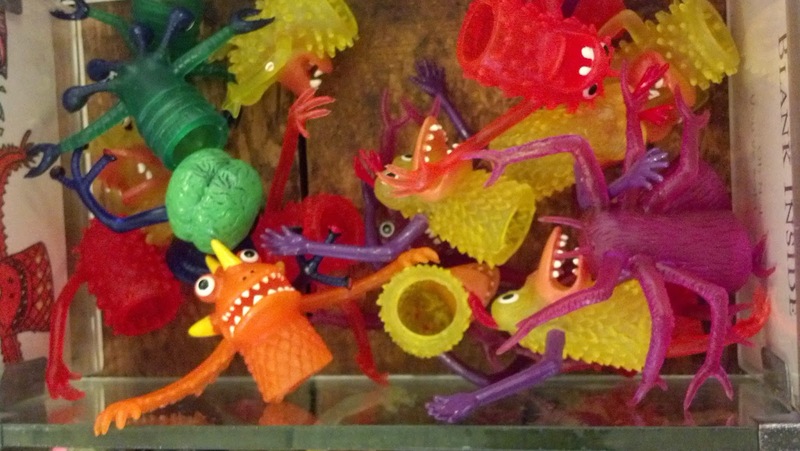 A bin of terrifying monsters! Except they're so colorful and cute, and they fit right on your finger. For today's writing prompt, something scary becomes fun, sweet, cute, silly or kind. Something wild becomes tame. 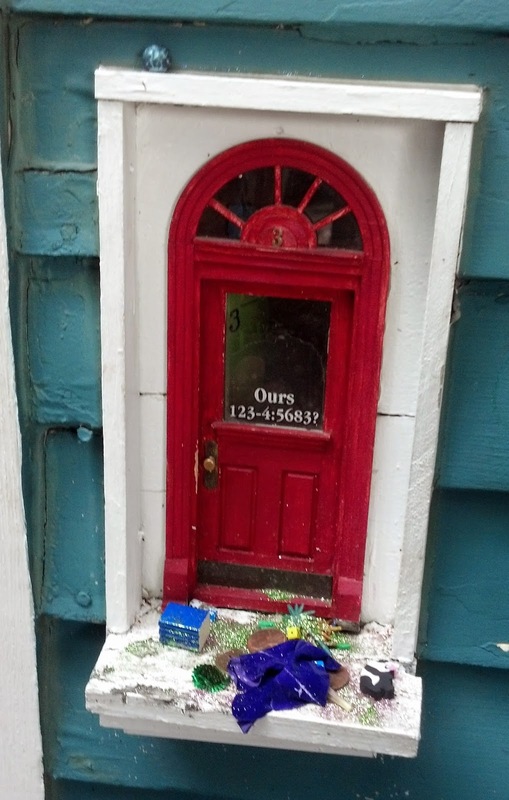 All over Ann Arbor, Michigan, are these very small fairy doors. Business - especially those that cater to children and tourists - use them to attract customers. But they're ridiculously enchanting. Sometimes people will leave a small token for the fairies, making the doors seem like tiny shrines to fairyhood. For today's writing prompt, make something shrink. Your character can lose weight, or perhaps their bank account shrinks. Maybe they have to move to a smaller house. Whatever you choose, see if you can't make it better for your character - or even enchanting. I love this sign. 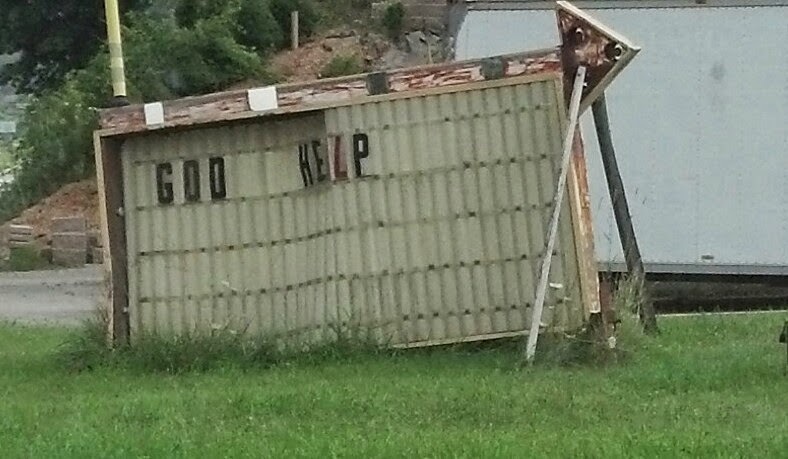 Not so long ago, this sign said "God Help Kevin With Evil Divorce". Actually, I'm not sure it was Kevin, but the rest was right. It was great, because it was along a busy highway, and everyone knew that Kevin - whoever he was - had parents who cared, and hated his ex so much that they'd resort to advertising how awful she was. But now it just says, "God Help," which, considering the times, is completely fitting. Writing prompt: Your character is going to put something on a sign on a busy highway. What's on the sign and why? Have fun. Stardom. Some people seek it. Some people don't. Some people get it when they least expect it, or don't want it. For today's writing prompt, have your character become inadvertently famous. "Famous" can be globally famous or locally famous, or globally / locally infamous. Does your character appreciate, or withdraw from, their new fame? Or do they react in a completely different way? We like to measure things. Calories, money, time. We measure ourselves against so many "standards", even when those standards aren't standard. You would think the ability to measure would make us more objective, but the drive to outperform can make us feel like we haven't achieved enough, even when we achieve great things. Today, your character is in a situation where he or she has achieved something, but they want to achieve more. Perhaps even more than mere mortals can achieve. What is your character so good at, that they consider their excellent performance to be marginal? How do they react when they don't outperform?